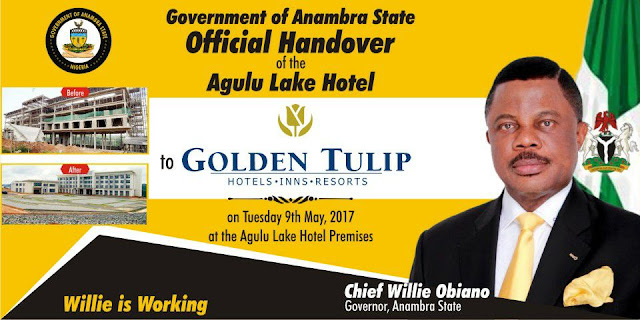 Golden Tulip will commence the customization of the completed Hotel to suite their brand requirements. 2. Gov Obiano continued where he stopped and completed it. 6. This is in line with Gov Obiano's promise for Continuity.